We woodworkers are a strange bunch, but Mary May the woodcarver said something that made me feel a little better about my woodworking strangeness. Mary said when she was learning to carve, she would watch a movie and find herself trying to decide which gouge would fit the curve of an actor’s nose. I mean you never know when someone will ask you to carve their face and you need to be ready. That made me feel better, because I sometimes find myself bored with a movie looking at the furniture in the background to see if there is something I might like to make. I love to watch how the movies and TV depict various professions. For instance, in the first Indiana Jones movie, Indy was using a surveyor’s level to try to find something on an archeological dig before the Nazis caught him. I am a Land Surveyor, and first of all that is the wrong instrument — he needed a transit with which you can turn an angle. The primary use of a level is to determine relative elevations. But even with the wrong piece of equipment, he was still using it upside down. All they had to do was call me and I could have told them it was wrong. I seem to remember Kevin Costner playing a boat builder in “Message in a Bottle” where his character did something stupid with a table saw. Never got to see that one but I have heard people say it was a disaster waiting to happen. Every woodworker who sees him start to do it would know he is about to get hurt. I love “NCIS” on TV and the main character Gibbs is always building something in his basement. For several seasons he was working on a boat and I wondered who actually made the boat. I don’t know if Mark Harmon/Gibbs is a woodworker or not, but if you Google the question, there is a company in California which furnished the basic boat frame for the show. Only a few people like us woodworkers would have noticed that the boat that came in is not the boat that came out. http://www.glen-l.com/glen-l-design-featured-on-ncis/. Someone asked how he got it out of the basement, and the answer was they just moved the cameras and lights out of the way and rolled it out. Of course, the classic one is Mel Gibson at the beginning of “The Patriot” tossing a Windsor chair across the barn because it kept falling apart on him. Turns out the D.R. Dimes Company, an old line American Furniture maker, built the chairs used in the movie. According to the website for the company, the movie producers contacted a dealer to approach Mr. Dimes for some chairs. When he found out that the chair was going to be broken in the movie, he at first refused to sell it to them because his chairs do not break. The dealer finally managed to find enough chairs to satisfy the movie people and sold them about two dozen pieces for around $20,000. When asked if the movie got a discount, both parties had refused. To quote one of them, “Mel Gibson was getting $24 million for the movie, I can get $650 for my chairs.” By the way, if you have built a Windsor, you will appreciate the fact that they had to take the chair apart beforehand and then leave it loose with some parts sawn mostly through, just so it would fall apart when he threw it against the wall. 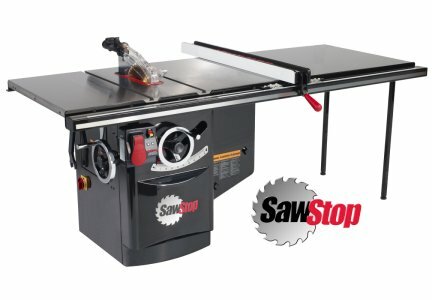 So what would make a good movie about woodworking? Something about a woman with hair the color and as curly as wood shavings off a cherry bowl blank, using a SawStop table saw with a Forrest I 60 carbide tooth blade, who sweeps the shop floor and waxes the saw table before she leaves the shop to wash the pickup and fix supper before I get home. Change that sentence around as you need to. Good luck with that!! What would your ideal woodworking movie be like? Apparently the actor who plays Gibbs is a woodworker, and the tools he uses on the show are actually his. Don’t remember where I read that….. Check out Steve Martin in “A Simple Twist Of Fate”; he’s obviously a skilled woodworker. I don’t know about all the woodworking stuff, but this is too funny. Next time I watch the Patriot, I know what I’ll be focusing on. Speaking of Indiana Jones, Harrison Ford pulled off a pretty convincing role as a cop-turned-Amish woodworker in the film “Witness” back in 1985. One of my favorites (and only partly for that reason). Meyer, I think I have heard that Harrison Ford worked as a carpenter installing kitchens and cabinets while he was waiting for his big break. American Graffiti in 1973 was likely his first big one about 4 years before Star Wars. For many people, especially those reading this, carpentry would beat waiting tables.